Krav-Maga is a self-defense martial art, accessible to everyone, with techniques executed quickly and efficiently. Krav-Maga is characterized by its efficiency during real conflicts, without rules, against offenders superior as strength, agility and skills. It allows the learning of useful principles and techniques both in a few hours and in-depth study, unlimited in time. "What is my idea and what is my way? To make the human being who is doing the Krav-Maga better. The self defense is educational. Because I must educate the young people, not to make him aggressive; opposite - I want to educate him. But, if he comes in a danger he must react as if he is in danger." from an interview with Imi Lichtenfeld, in 1989. There is a lot of information on Krav-Maga on the internet. Unfortunately, many of this information is wrong or contradictory. The information we present is taken directly from Yaron Lichtenstein, who was named by Imi Lichtenfeld his successor. Krav-Maga helps you become stronger both physically and emotionally. The investment is not only in your body but also in your mind and attitude. And you will experience the benefits your entire life, even if you will not step in a gym again! Krav-Maga does not give you any guarantees, but it provides you with techniques and principles for the most varied aggressions. These can ensure your survival in a conflict with larger, stronger and faster aggressors. And teaches you to never give up fighting for your safety and your life. By practicing Krav-Maga you become more self-confident (you know that if necessary you can effectively defend yourself and those around you), you get rid of various fears or traumas, you create and maintain an excellent fitness (the techniques taught trigger every muscle and every joint in you body) and you reduce the daily stress (the intense physical activity will detach you from all the problems). It can be if needed. Thus, Krav-Maga teaches you to avoid the conflicts, but if you do not have a choice you can fight effectively for your survival. The immediate goal is the neutralization of danger, which is achieved by short, fast and efficient movements, targeted at the aggressor's sensitive areas. The deployment of more or less aggressive techniques is made accordingly to the type of attack and the number of aggressors. Krav-Maga reduces violent tendencies and manifestations. As a practitioner, you get to know yourself better and develop your skills to pass optimally trough the crisis. It allows you to stay calm and react just as necessary to protect yourself and do as little harm as possible to those around you. Basically, the better prepared you are, the less you feel and need to make use of force. Contrary to the popular opinion, free violence can be found in contact sports, in which the competitor enters willingly into the ring with the clear intention of hurting his aggressor, only to win prestige, fame and money. The Krav-Maga practitioner will never enter willingly into a confrontation, but compelled, thinking "If I do not act, someone will die." 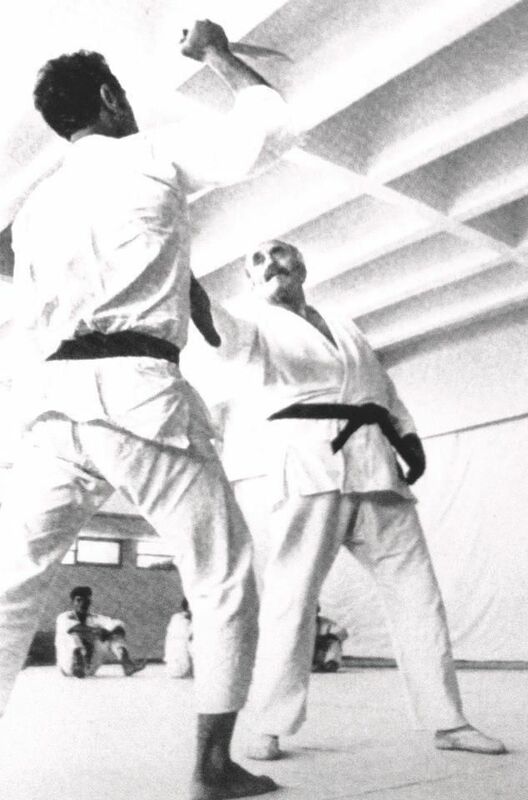 Krav-Maga was created in 1971 in Israel, by Imi Lichtenfeld, as a martial art based on the techniques and principles he originally taught in the Israeli army. Imi Lichtenfeld was an unexceptionably athlete, having among others a thorough grounding in Judo, Japanese Jiu-Jitsu, boxing and wrestling. He accumulated over 12 years of experience on the battlefield and in guerrilla confrontations and then he worked over 20 years as chief instructor of self-defense and close combat in the Israeli army. 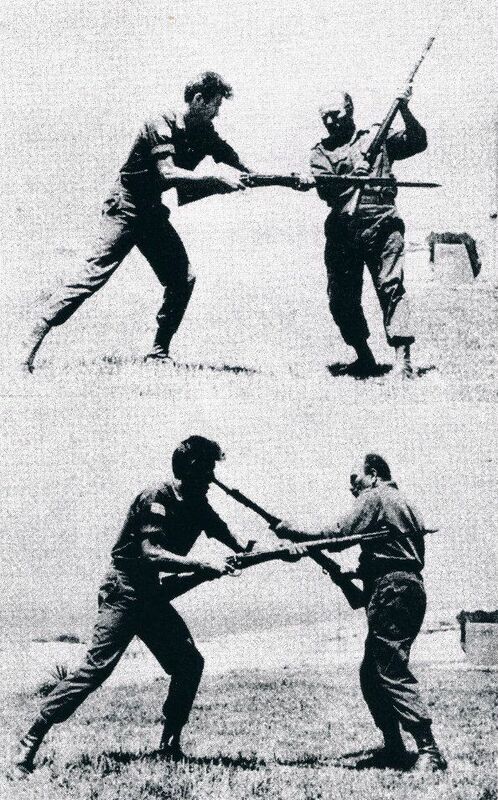 Summarizing his lifetime experiences, Imi created in 1971 Krav-Maga as the Israeli martial art of self-defense. He designed it to be efficient and accessible to all people, strong or weak, male and female, child or adult. The KRAV-MAGA Stability in Motion school was founded by László PETHŐ in 2012 with the aim of creating a more flexible and efficient framework for training. In our school we aim to teach ordinary people (men and women, adults and children) to defend themselves effectively and to become more powerful, regardless of their fitness or the time available for training. Combining physical training with personal development, we facilitate positive attitude changes useful for the entire life. We teach Krav-Maga exactly as it was created by Imi Lichtenfeld. Following the tradition, most of the time we train in a gym, in white kimono and barefoot. We also hold courses in ordinary clothes and shoes, in various locations, in order to test the techniques in conditions closer to reality. In Kra-Maga, for each threat there are several variants of defense, attack or combined actions. We teach defenseses against all possible attacks: punches and kicks, grips on body and clothing, strangulations and hugs, knife attacks and firearms threaths etc. We address all possible situations: one or more attackers in open or closed spaces, standing or on the ground, at close range or in contact with the attacker etc. Our school teaches unchanged the techniques and principles created by the founder of Krav-Maga, Imi Lichtenfeld. In Krav-Maga we use (only with kimonos) the following belts: yellow, orange, green, blue, brown and black. The colored belts and the exams are ways to highlight the progresses made by the students.